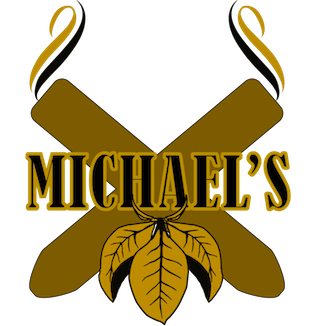 Back in February, Viaje President Andre Farkas was a guest on Episode 86 of Stogie Geeks and broke exclusive news that the company’s long awaited Viaje Trifecta project was finally coming. 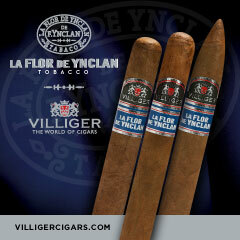 The Trifecta is a package of three Viaje blends, each in a 7 1/2 x 40 lancero format. Two of the blends are the well-known Viaje Platino and Viaje Oro blends. The third blend was an entirely new blend from the company being released for the first time known as the Viaje Plata. In addition to being a new blend, the Viaje Plata is significant because it marks the company’s first cigar being made in Miami, Florida (The Platino and Ora are still made in Honduras). With the Viaje Plata Lancero now hitting the shelves, I’ve had an opportunity to smoke this cigar – and this proves to be an outstanding new blend by Viaje. The Viaje Plata Lancero is currently only available as a part of the Viaje Trifecta. 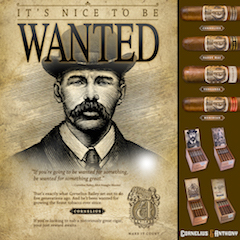 The Trifecta constains thirty lanceros with 10 lanceros each of Platino, Oro, and Plata. The Viaje Trifecta project was something that began over three years ago, but it was a delay with the Viaje Plata blend that held up the whole Trifecta project. 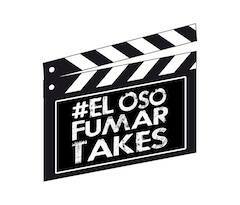 Farkas has said the Platino and Oro lanceros have been aging for three years. Meanwhile the Viaje Plata Lancero has been aging for six months. As with all Viaje releases, the Viaje Trifecta is made and released in small batches. 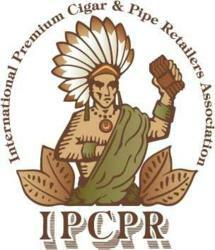 As a result, most retailers might only see one to two boxes of the Trifecta package. 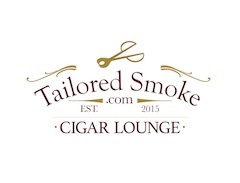 Let’s take a closer look at the Viaje Plata Lancero and see what this blend is all about. At this time, Viaje has not formally disclosed any details about the blend of the Viaje Plata. 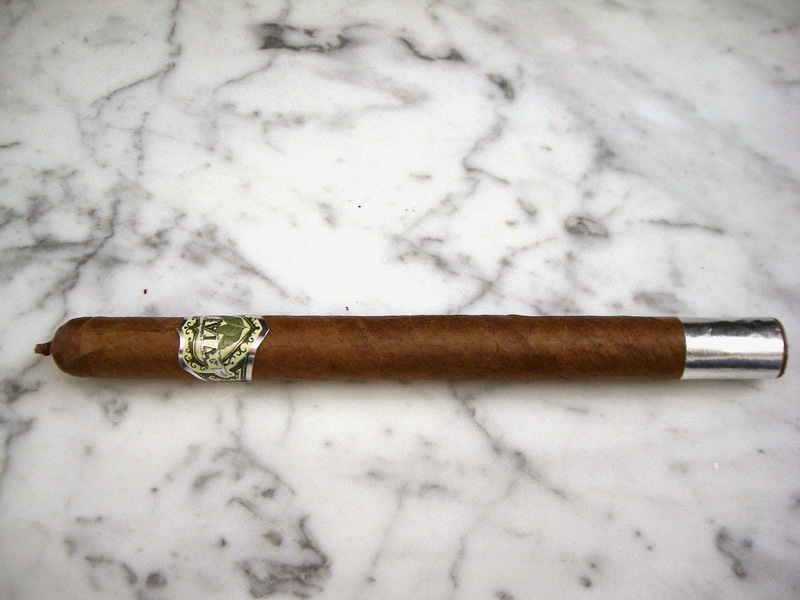 As mentioned the Viaje Plata is available in one size – a 7 1/2 x 40 lancero. Farkas had mentioned to us that due to the difficulties the factory had in rolling a 38 ring gauge, he was now making his lanceros with a 40 ring gauge. As also mentioned, at press time, the only way the Viaje Plata Lancero is packaged is as part of the Viaje Trifecta. There are 10 Plata Lanceros in the Trifecta. The Viaje Plata’s wrapper has a medium brown, woody color with a mix of colorado red. The wrapper also has an oily complexion. While it contains some visible wrapper seams and a few visible veins, I considered this to be somewhat of a smother looking lancero. The cap is finished with a small pig-tail. The band to the Viaje Plata has a strong similarity to what the Viaje Oro and Viaje Platino bands have. It has a green and pale yellow color scheme. The difference is the band of the Plata also contains some silver/chrome coloring (while the Oro contains gold and the Platino contains silver coloring). There is a silver/chrome colored ribbon along the footer. As opposed to pulling the pig-tail cap off, I opted to make a straight cut to remove the cap. Once the cap was removed, I proceeded with the pre-light draw. The dry draw provided notes of wood, natural tobacco sweetness, and a light baker’s spice. Overall I considered this to be a satisfactory pre-light draw. At this point, I removed the silver / chrome colored footer band, lit my Viaje Plata Lancero and awaited what the smoking stage would have in store. The start to the Viaje Plata Lancero had a mix of cocoa and natural tobacco sweetness. There also was some baker’s spice I detected in the background. The cocoa and natural tobacco notes soon alternated as to which was the primary flavor while the baker’s spice remained secondary. It took a few minutes to get going, but once it did I found retro-hale to be a key part of the experience. Particularly, this retro-hale had a mix of sweet spice layered with some sharper black pepper notes that could be detected through the nasal passages. 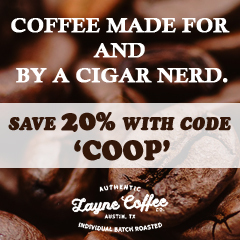 Toward the halfway point, the alternating pattern of the cocoa and natural tobacco now included the baker’s spice as primary flavor notes. Meanwhile I also detected some black pepper notes on the finish. In the last third, the baker’s spice notes took over as the main primary flavor. I could still detect some black pepper in the whole spice equation. The natural tobacco notes were now secondary. The cocoa notes were now the ones I detected on the finish. This is the way the cigar experience came to a close. The resulting nub was cool in temperature and firm to the touch. I found the Viaje Plata Lancero to score nicely in the area of burn and draw. For the most part the burn line remained on the straight side. There was a little curviness early on, but this soon straightened itself out nicely and the burn really required few touch-ups overall. The resulting ash was firm with a salt and pepper color scheme. The burn rate and burn temperature were ideal. 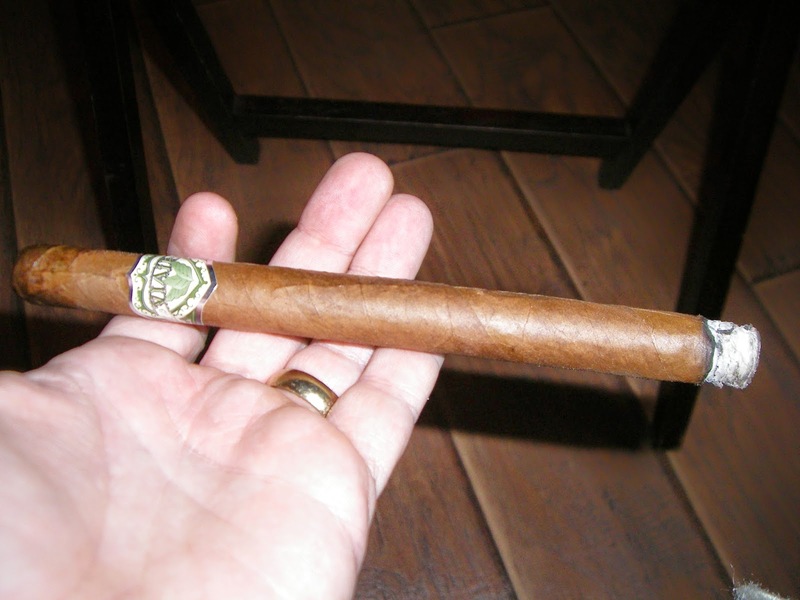 I found the draw to the Viaje Plata Lancero to be outstanding as well – it was not too tight and not too loose. I also found the Plata Lancero produced an ample amount of smoke production – particularly in the later stages. Back when Farkas was our guest on Stogie Geeks, he mentioned how Plata would bridge the gap between Oro and Platino. Farkas further clarified this with me when he said that he was looking at filling a gap left by those blends by offering something milder. In terms of what was offered, I agreed with how this cigar was positioned. 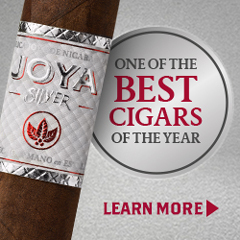 When compared to Oro and Platino, the Plata is going to be a milder offering. I still assessed this as being a medium strength and medium-bodied cigar from start to finish. The strength and balance of the Viaje Plata Lancero counter each other very nicely. Overall I found the Viaje Plata Lancero to be a very enjoyable cigar. 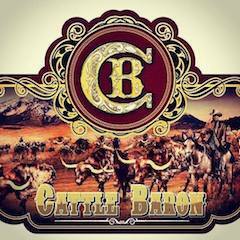 This is a cigar that delivers some great flavors. 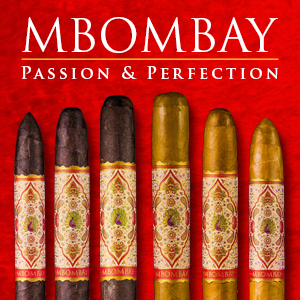 I found this cigar’s medium strength and medium-bodied profile worked perfectly with this particular flavor profile. While the Plata is only available in the lancero format, I found this blend to work very nicely in the lancero frontmark. In recent years, many Viaje have been criticized for being released too young. In the case of the Viaje Plata Lancero, I didn’t find this to be the case. While this is a cigar ready to smoke now, I really think in a year, this could be talked about as one of Viaje’s upper echelon blends. 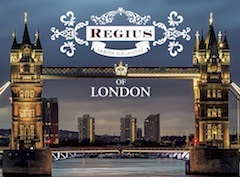 This is a cigar I’d recommend to the novice or experienced cigar enthusiast. As for myself, this is a cigar I would definitely smoke again. If these cigars were available in 20 to 25 count boxes, I’d easily consider this a box-worthy purchase. Nice review. 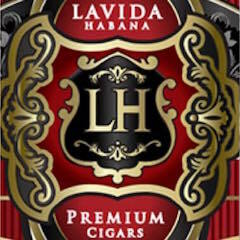 At the back of the palate there are some excellent flavors of earth and tobacco.